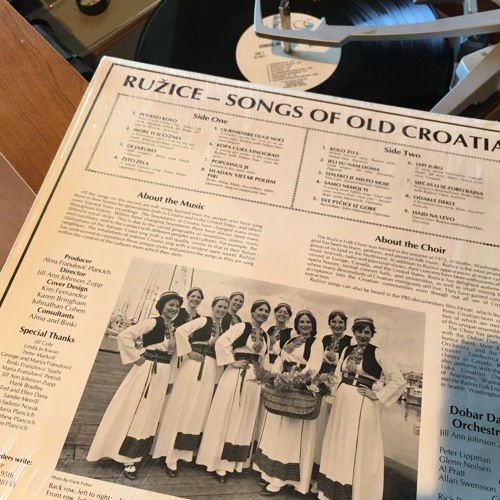 Seattle WA: Linda Quist from Seattle, US remembers the years in the 60s and 70s when she and her music group of American singers, dancers ands musicians, all of them in their twenties and thirties at the time, used to visit Croatia, Serbia, Macedonia, Bosnia-Herzegovina (former Yugoslavia at that time), and neighboring countries. They would bring with them American folk music, and while visiting learn the folk music and dances of their hosting countries. Soon their repertoire was made of the Croatian, Serbian, Bosnian, Macedonian, Bulgarian and Greek folk music too. In 1975 the group released an LP album with their interpretation of a number of Croatian traditional folk songs. Today Linda continues to visit the region, especially Croatia and Bosnia-Herzegovina, as the Director of the Seattle based Balkan Task Force that supports several faith-based initiatives in those countries. She is also an adviser to the Forum for Leadership and Reconciliation, a Seattle based leadership and reconciliation organization with the international work focused on leadership development, peace building and reconciliation. Take 15 minutes and listen to Linda’s story.